Chronic Fatigue Syndrome is for real! Other individualized symptoms include muscle weakness, night sweats, and sensitivity to light. Vertebral Subluxation – The Cause? Your nervous system is made up of your brain, spinal cord, and a dense series of nerves that go out to all parts of your body. Your nervous system is responsible for providing the energy necessary for life in the body to exist and function properly. Nerve Impulse = No Life. Reduced Nerve Impulse = Reduced Health. The purpose of the spinal column is to house and protect your spinal cord and spinal nerves. When a vertebrae becomes misaligned with the one above and below, it causes a pinching of a nerve impeding the normal, natural, electrical and chemical impulses that are carried by the spinal cord and nerves. This reduced energy blockage, in time, results in both physical and mental fatigue. This condition is known as vertebral subluxation. Studies reveal that many CFS sufferers waste valuable time, in many cases years, in medical offices without significant benefit. To be medically diagnosed with CFS, a patient must exhibit symptoms for at least six months. During this critical time, the condition becomes deeply embedded into the body and nervous system, where all things are remembered. At this point, medication is prescribed, serving only to mask the symptoms as there is actually no medical treatment for the underlying cause of CFS. There is absolutely no need to suffer for six months before addressing your health condition or concerns. Jeffrey Ptak DC, MA is a specialist when it comes to your nervous system and spine and is an expert in addressing the underlying physiological and neurological consequences that begin with Spinal Nerve Stress. Chiropractic Care at Ptak Chiropractic in Santa Monica, California is non-invasive and does not involve any medication or invasive procedures. Releasing Spinal Cord and Spinal Nerve Stress caused by subluxation with gentle, specific, and scientific adjustments and re-alignments, the true cause of CFS is corrected. These realignments open the natural energetic pathways of the body reconnecting the brain to all organ systems, glands, and tissues. CFS is a quality of life issue. It frequently leads to learned helplessness, especially when it persists for years. Dr. Ptak will tailor an individualized CFS care plan based on your current state of health. Our mission is to work with you to gradually increase your energy levels and improve your overall state of well being. Patients come from all across the nation to Los Angeles, CA to experience the healing touch of Dr. Jeffrey Ptak DC, MA. Dr. Jeff has nearly 3 decades of experience caring for patients, including those who have been declared beyond help by medical professionals. If you are experiencing persistent fatigue, please don’t wait any longer. Together, let’s begin your journey to optimum health. 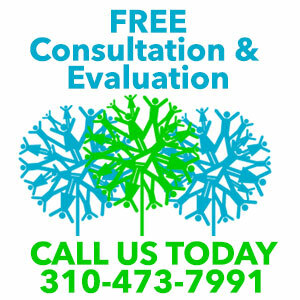 Call (310) 473-7991 today and let’s schedule a consultation with Dr. Jeff. You’ll be glad you did!